One of the common calls we get is for help where two (or more) dogs living in the same household have started to fight. We call this sibling rivalry. Many owners never experience this but, for those who do, it can be very distressing. Not only can it be dangerous for the owners when they try to break up fights, once sibling rivalry becomes extreme, owners may be left with no option but to rehome one of their dogs. A sibling rivalry situation can seem to appear out of nowhere. Your dogs have probably got along pretty well for years and then suddenly things change. In truth, the situation probably hasn’t arisen out of nowhere; it’s possibly been developing for months without you noticing. There are many different reasons why sibling rivalry might develop and it is worth ensuring that you understand some of the more common reasons and how best to avoid it. Dogs living in the same household are forced to spend a lot of time together. Whilst living together can be advantageous to dogs, providing them with company when you are out, and a permanent companion and playmate, it is worth remembering that each dog is an individual and that dogs do not think in the same way as humans. It’s a good idea to allow the dogs some time away from each other from time to time; so separate areas in the house, or separate crates can be arranged so that dogs have the opportunity to take themselves away from another dog that might be causing them stress. You can also try to introduce the odd walk, or playtime with you that doesn’t include the other dog but, again, this must be done fairly and alternated between the dogs. For the dog that isn’t out with you, leave a brain-training game, or a toy stuffed with treats to mollify and entertain him. Another benefit of separating the dogs for your attention is that you can use the play time as a chance to do some useful training. It is often difficult to train two dogs at the same time as they distract each other and, between them, can get the upper hand. 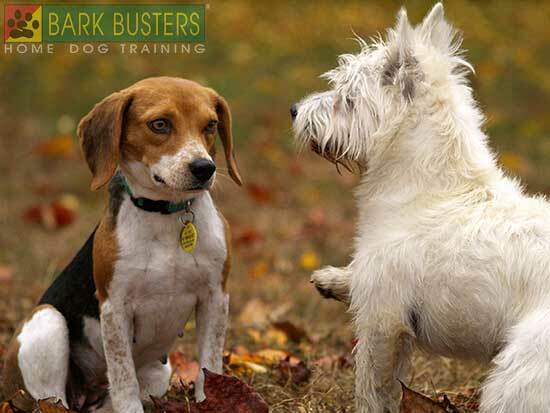 Train each dog separately and ensure that they respond to your commands. 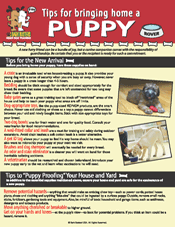 It is vital that you do not give preference to one dog over another or allow privileges to one dog and not another. The rules must be (a) clear, (b) consistent and (c) applied equally to all. Treats and toys and food must be fairly shared amongst all the dogs, and access to your attention must also be equal. Every dog in your household needs to be trained to respond to your commands. If you don’t train your dogs, so that they listen to you, they will look to each other for leadership and direction, and this is likely to cause you major issues. When a younger dog comes into a household with an established older dog, you may notice that the older dog is automatically given status by the younger dog. The younger dog will follow the older one around, and will learn from him the rules of the household. This may include acceptable behaviours and manners around other dogs, where to toilet, and feeding etiquette (eat from your own bowl, not mine). However, as the years pass, your older dog’s leadership will start to wain in the eyes of the younger one, and he may start to challenge the older dog. It may go so far as to take over the older dog’s bed, snarl at him in doorways or when there is food around, or prevent him from having his favourite toys. The first thing to remember when owning multiple dogs is that you, the human, must be in charge. All of the dogs must recognise that you are the leader and know that there is no leadership to fight for. As we have said in previous articles, dogs are great people trainers. We can find this cute and funny, but it is often the cause of many cases of sibling rivalry. Look at your situation; do your dogs demand attention/actions from you? And do you respond? Do they become more demanding if you try to ignore them? If the answer is yes, then your dogs have been busily training you and now think that you are their hand maiden rather than their leader. They may start to fight over your attention or your belly-rubbing services, or fight over who sits on you on the couch. You need to take back some authority very quickly and you may need to seek the help of a dog behaviour professional. If you need help with this or any other issues, please give us a call on 0808 100 4071. Our trainers will be happy to help you.